We asked Brett Beyer about the Aussie Olympic sailing success. 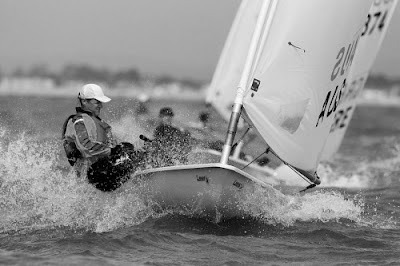 Brett is an Australian international sailing coach and multi-world champion sailor. 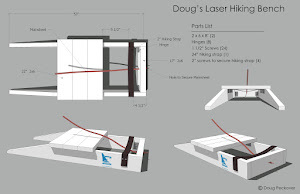 Frank Bethwaite's new book to be released in February has a section on Laser sailing that is written by Brett. If Frank defers to Brett for his expertise, we should all listen. 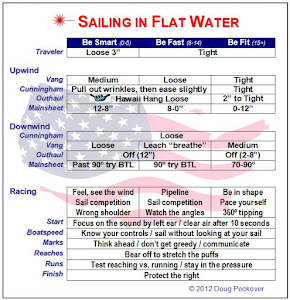 To analyse why one sailor or one country does particularly well at Olympic level can be complicated. In the case of Australia, a system I am very familiar with, it should be noted that they are already top level International or World Championship quality competitors and therefore we shouldn’t be surprised with Olympic success. Nonetheless, it is still worth pondering why these successes are more prevalent in one country and can these be duplicated and transferred in some way to some other countries program. To place a percentage on these would be difficult and depend very much on the quality of them. For example, a sailor with not the most talent would have to rely more heavily on the skills of the Coach and the funding and structure of the Federation. I have coached Nathan Wilmot (2008 470 helm Gold), Nathan Outteridge (2012 49’er Gold) and Tom Slingsby (2012 Laser Gold) when they were very young in the junior classes in Australia and all 3 of these sailors had exceptional boat handling skills as younger sailors. This doesn’t mean they were always winning races, but I believe it is one of the indicators for future success. In their case, they were not reliant on the Coach or Federation to improve their sailing. These were the guys first to the club in the morning, first on the water and often last back onshore. You can see an intrinsic love of the sport. Sailing for enjoyment of sailing and nothing much more complicated than that. Of course, there comes a time where more lofty goals require more structure and guidance and the role of the Coach and the Federation become increasingly important. The Australian system is now modelled off RYA when it comes to Instructor/Coach qualifications, Youth Development and funding structure. But this is only more recent so we cannot say this is the reason for Australian success nowadays. Winning an Olympic medal takes times. The average age of the Laser sailor medallists over the last few Olympics is just over 30 years old. So, having those talented youth sailors still may not be enough. You have to have Sailor retention. Keep them in the sport and this is not always easy. Of course this takes money, parent/spouse support, program opportunities and even society acceptance. 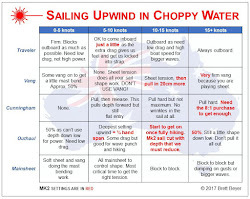 I have worked with several different Sailing Federations over the last few Olympic cycles and can appreciate the vast impact they can have on sailors performance, both positively and negatively. Their role is of course to support the sport of Sailing at all levels and to provide funding and opportunity at an elite level. Ironically, some Federations, can restrict or compromise a sailors program to the point where achieving success becomes harder, not easier. For the sailor that receives their funding via the Federation and the Coach who is often employed by the Federation, these restrictions are often difficult to address and even harder to overcome. So finding the right balance of talented sailors, keeping them in the sport, providing them with a top Coach, having a supportive Federation and well funded program is the basis for Olympic success. If just one of these areas are below par, then International or Olympic success is near impossible. But did you notice that Brett Beyer was the personal coach for Colin Cheng the Singapore Laser sailor who came 15th at the Olympics? And I don't think he is the only example of a "super-coach" crossing national lines to provide personal coaching to a sailor competing against his own national team. I wonder how significant this trend is and whether it will be be even more common in future Olympics? Actually he was coaching both SIN and NOR (15 and 16) and even a third country leading up to the Olympics. Both SIN and NOR were sailing better than they were a year ago and both had some very good race finishes, not to mention they both beat the US. Sharing the knowledge among countries can only lead to better competition. Did you see that SIN was hanging with AUS in one race and took 2nd to Slingsby? The US would do well to hire a little of that Aussie expertise. And I also saw that when Lijia Xu of China was interviewed after winning the Radial Gold she gave thanks to her coach Jon Emmett from the UK. Actually his website says he is the UKLA Training Officer. I think that UK and Australian sailing coaches might be in a lot of demand in the next few years!